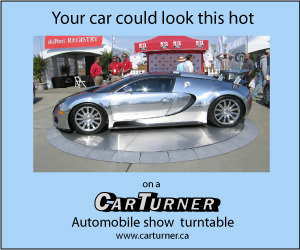 The CarTurner mirror finish show turntable is a stunning addition to your showroom. 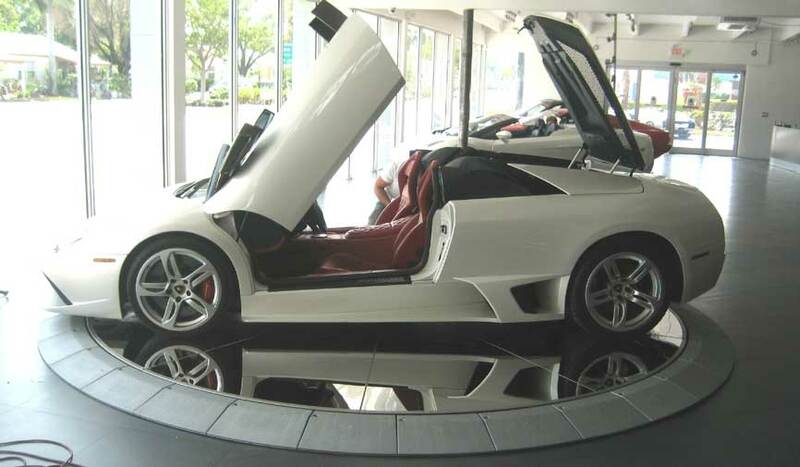 It reflects your cars quality from every angle. 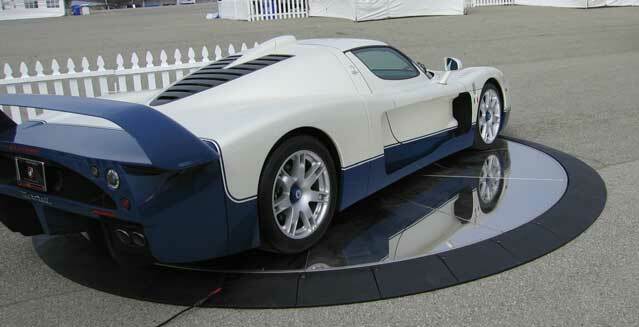 The revolving reflection virtually leaves the onlookers spellbound. 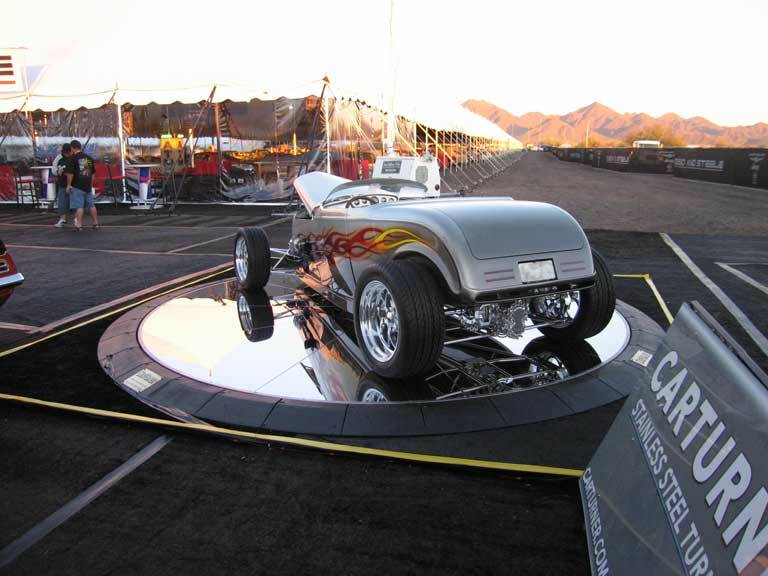 Take a look at the pictures above and you will quickly see the impressive effect a mirror finish turntable offers. The polished surface show turntable is actually stainless steel, polished to a high lustre by a special process. It is just as strong as our regular turntable, so no need to worry about your mirror surface! 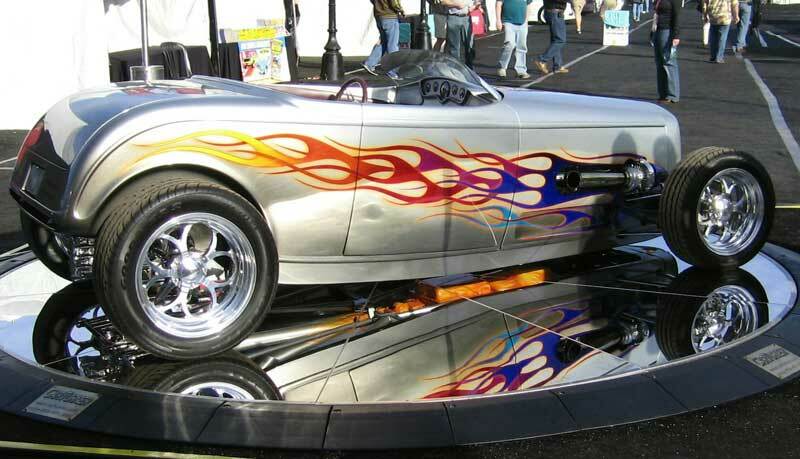 Your car will look fabulous turning on a CarTurner show turntable. They are quiet, smooth, and precision engineered. Classy. Classy enough to set your cars off to the advantage they deserve.